Downtown Church of Christ is located in Heber Springs, Arkansas. We are a congregation of God's people who are striving to live in a way that exemplifies what is taught through his word. We are blessed with evidence of God’s beautiful creation with the Little Red River and Greer’s Ferry Lake providing ways to enjoy the outdoors. Many people visit and many people stay. We are a very friendly group of Christians who would love to meet you. Our hope and our prayer is that you visit us for worship or contact us that we might help fulfill your spiritual needs. Sunday Morning Worship Bible Classes- 9:30 A.M. Worship- 10:30 A.M.
Sunday Evening Worship- 5:00 P.M.
Wednesday Evening Bible Study- 7:00 P.M. 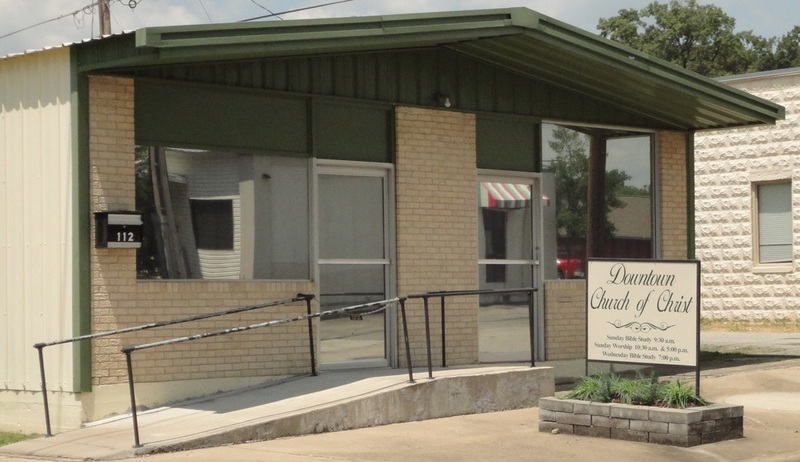 Downtown Church of Christ is located at 112 South 5th Street in Heber Springs, Arkansas. Please click for a map or contact us for more information. We look forward to seeing you.